Going for a languid look? Or one that sparks conversation on its own. You've found both on this table and top pairing that you design yourself. Up the base finish and choose a material for the top. It's as custom as you can get without building it yourself. Information and guidelines on livingroom and occasional tables. Dimensions: (Base) 36"w x 36"d x 16.5"h (Top) 42" x 42"
Weight: (Base): 47 lbs. (Top): 95-170 lbs. 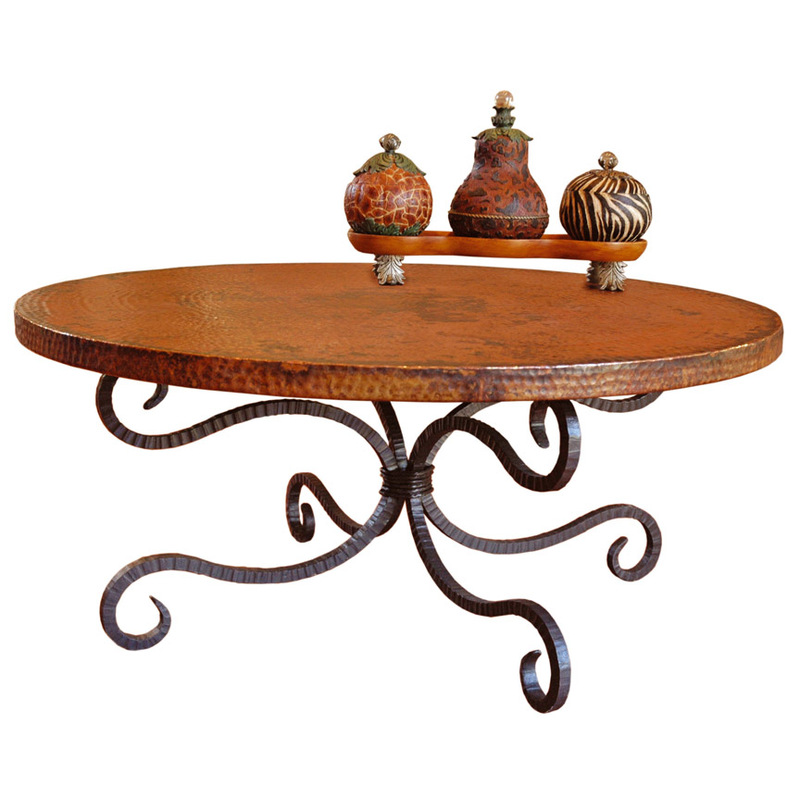 Depending on the table base glass, copper, marble, wood or zinctable tops are available.